Maybe your 2018 goals include eating healthier or exercising regularly. We have some resolution suggestions for your mouth. As we begin the New Year, almost half of Americans will make a New Year’s Resolution. Unfortunately, 80 percent of those resolutions will fall by the wayside within six weeks, according to a U.S. News article. But the good news is that for one out of every five people who make a positive change, they will stick with it long enough to become a habit. Sure, it’s a no-brainer. But we see a lot of patients who aren’t as consistent as they think they are. More than the occasional missed brushing can be the beginning of bad habits. As we’ve mentioned, gum disease can be caused by a variety of factors. Make sure you to check for any discoloration or soreness, and point out any problem areas at your next appointment. This may go hand-in-hand with one of your other resolutions. Limiting processed sugar intake is a simple way to improve overall health. Plus, reducing the number of sugary drinks (soda, sports drinks, sweetened/frozen coffees) positively impacts the overall amount of plaque that can accumulate between brushings. If you have discomfort in a tooth, gum or jaw, call us! Sudden or persistent pain can be a sign of something seriously wrong in your mouth, so don’t wait to get it checked out. 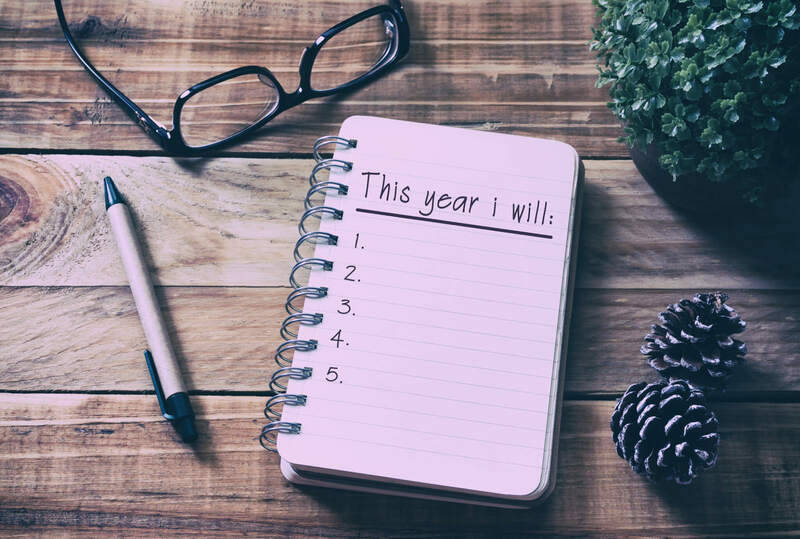 Whatever your resolution, or even if you don’t make one at all, each of us at Meyer & Johns Dental wish you and yours a happy, healthy, and prosperous New Year. Celebrate safely, and we’ll see you in 2018! Can extra body weight lead to gum disease? 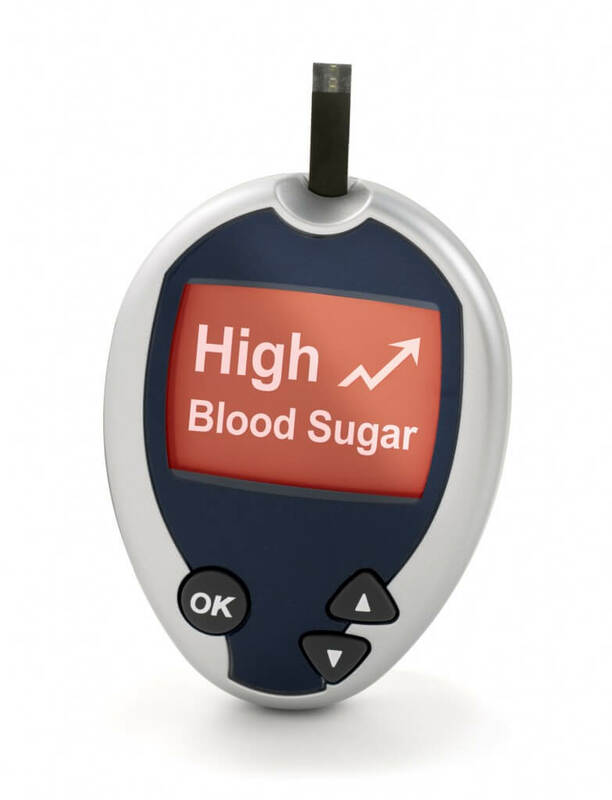 Elevated blood sugar is NOT OK for your teeth! Heart disease, joint problems, lack of energy – We hear a lot about the consequences from being overweight and inactive. Diabetes gets most of the attention, since the number of diabetic Americans has ballooned to 30 million in recent years. That’s nearly 10 percent of the population, according to the Centers for Disease Control’s National Diabetes Statistics Report for 2017. That number represents a 400 percent increase in the disease prevalence in just the last 20 years. And now new research is showing that diabetes can also contribute to periodontal (gum) disease. As reported in the journal Science Daily this month, a new University of Pennsylvania study found that diabetes causes changes in the oral microbiome, or the microscopic environment of the mouth and upper throat. The elevated glucose (blood sugar) levels common in diabetics also lead to glycemic imbalance inside the mouth. That disruption creates favorable conditions for gum inflammation, leading to infection (periodontitis), and enhanced risk of bone loss from the disease. The study clinically affirmed a previously ignored link between diabetes and periodontal disease. However, the researchers noted that the risk to diabetic individuals is greatly reduced with effective glycemic control, either through diet and exercise, or supplemental insulin treatments. Also, the team specifically called out good oral hygiene as a tool to further reduce individual risk. As mentioned in our blog post from last year, gum health is a critical component of good overall oral health. Gingivitis – inflammation of the gums – is caused by a buildup of bacteria found in plaque, and can lead to periodontitis. The good news is that gum disease is preventable with regular check-ups, professional cleanings and good oral hygiene at home. This includes brushing and flossing daily, and telling your Meyer & Johns dental professional if you have any pain or bleeding in your gums. If you experience these symptoms, let us know when you make your next appointment. We’ll make sure you’re armed with everything you need to make healthy choices for both your body and your mouth. Dental Anxiety? Have no fear! Focus on Kids’ Healthy Smiles! Cosmetic Dentistry is a specialty area not recognized by the ADA that requires no specific educational training to advertise this service. © 2019 Meyer & Johns Dental, LLC | Site by Schilling/Sellmeyer.